For the first time, Lauren Oliver's short stories about characters in the Delirium world appear in print. Originally published as digital novellas, Hana, Annabel, and Raven each center around a fascinating and complex character who adds important information to the series and gives it greater depth. This collection also includes an excerpt from Requiem, the final novel in Oliver's New York Times bestselling series. Hana is told through the perspective of Lena's best friend, Hana Tate. Set during the tumultuous summer before Lena and Hana are supposed to be cured, this story is a poignant and revealing look at a moment when the girls' paths diverge and their futures are altered forever. Lena's mother, Annabel, has always been a mystery—a ghost from Lena's past—until now. Her journey from teenage runaway to prisoner of the state is a taut, gripping narrative that expands the Delirium world and illuminates events—and Lena—through a new point of view. And as the passionate, fierce leader of a rebel group in the Wilds, Raven plays an integral role in the resistance effort and comes into Lena's life at a crucial time. 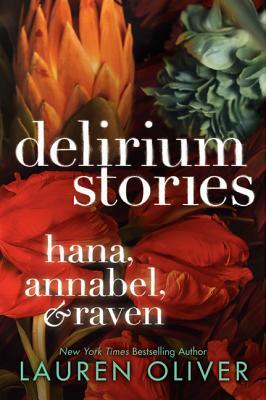 Crackling with intensity, Raven is a brilliant story told in the voice of one of the strongest and most tenacious characters in the Delirium world.